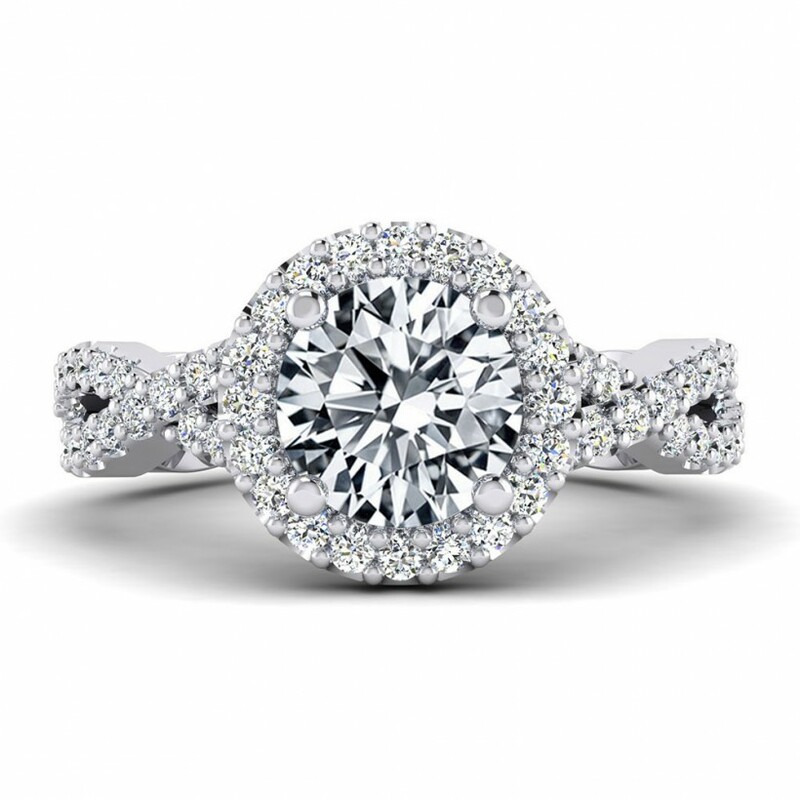 Robert E Guertin Jewelers is a full service jewelry destination with attention to personalized service for all our customers. 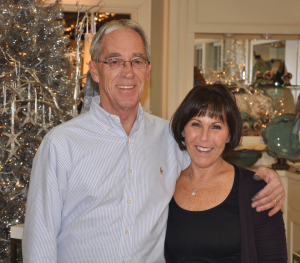 After 27 years of repairing and selling jewelry in the Cape Cod mall Bob with his wife Joanne, decided to move his small shop to Merchant Square in Sandwich. 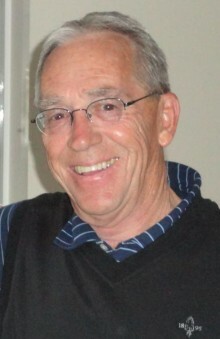 Bob wanting to spend more time with his family began looking from Dennis to Sandwich to purchase his own store and be free to set his own hours of business. The move from the Cape Cod Mall in 2001 was the best thing that ever happened to Bob and his family. 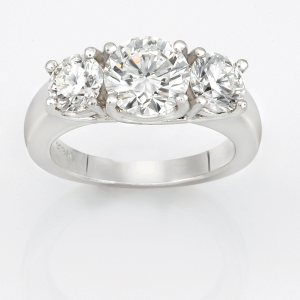 As a jeweler, Guertin has carried on the family tradition. His father Emile and Uncle Valmore started Guertin Brothers’ Jewelers on Main Street in Hyannis where they invented the Mother’s ring, a customized ring featuring children’s birthstones. Bob founded his own jewelry store in 1970 and his business has grown in leaps and bounds. He left the 300 sq. ft. space in the mall and purchased 600 sq. ft. in the east side of Merchant Square. After the first year and expanding another 200 sq. ft. Bob and Joanne found the perfect spot on the west side of Merchant Square on Merchant Road, a 1500 sq. ft. gallery space that is a compliment to his full line of jewelry, glass and pottery. Bob Guertin was a true Cape Codder with his laid back and generous attitude, you were sure to get a handshake no matter how busy he was at his bench. Joanne and staff continue to offer the same “Cape Cod” hospitality that Bob would show all our customers. The repair service you receive is of highest standards. 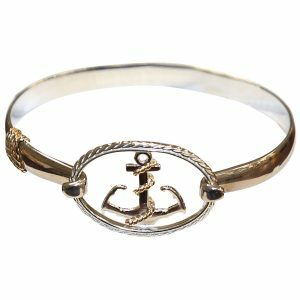 Joanne, not only works at the bench, but also specializes in designing new pieces or redesigning from an existing piece of jewelry. Even though we have lost Bob, his spirit and smile are still here with us. 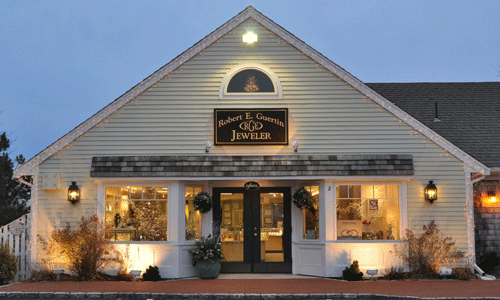 Robert E. Guertin Jewelers, Inc. is proud to be located in Sandwich, the oldest town on Cape Cod.